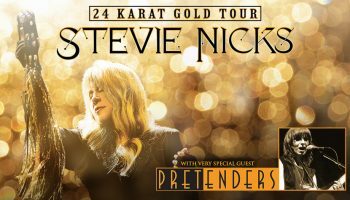 Stevie Nicks ‘In Your Dreams’ Australian Tour – Spotlight Report "The Best Entertainment Website in Oz"
McManus Entertainment is thrilled to announce the return to Australia of the legendary Stevie Nicks, who will be touring throughout Australia in November and December this year. Tickets go on sale on Wednesday 6th July. Stevie’s “In Your Dreams” tour will hit Australia in November. She will play shows in Melbourne, Adelaide, Perth, Sydney, Newcastle, Brisbane, Wollongong and Canberra. Joining Stevie for these special shows will be celebrated musician and songwriter Dave Stewart from Eurythmics, who co-produced Stevie’s new solo album, In Your Dreams. Fans of both Fleetwood Mac and Eurythmics will be thrilled to know that Stevie Nicks and Dave Stewart will be performing their greatest hits from their respective bands as well as highlights from their solo careers.